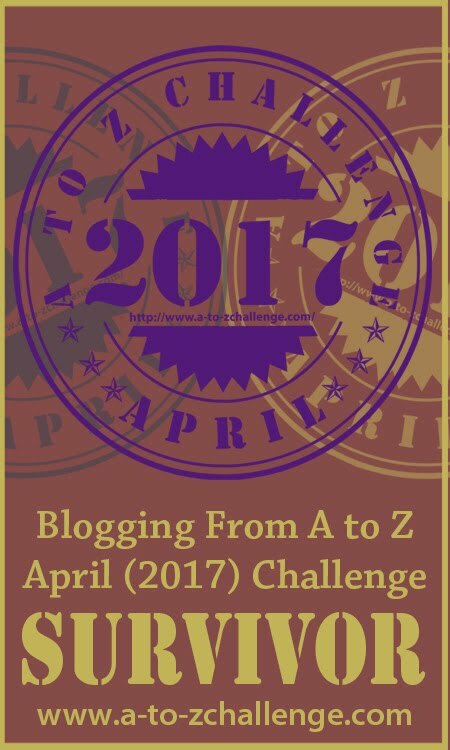 This was the second year that the writing team of Girl Who Reads participated in the A to Z Blog Challenge. We already post daily and with eight of us, daily posting isn't the challenge. Instead, we focus on trying new techniques and different writing styles. I felt we had gotten in a rut with our titles lately and as we weren't writing too much different content this year, I challenged my team to think creatively. To think creatively about titles is a little easier during the challenge because there is an assigned letter that you have to fit your content to, but I do hope we can continue with the variety of titles. I want to thank Susan for pitching in for the letter Q, It was a letter I was most dreading. I couldn't match any of my backlog of reviews though I guess I could have gone with Queued Reviews now that I think of it. Next year! I do love the Challenge for the increase in traffic and comments. This year there wasn't a central link up, instead, we left our links in comments. I like the idea of providing each day's link as often people sign up for the challenge with the best intentions only to get waylaid by one thing or another. I participate in another challenge at the end of May, beginning of June (Armchair Book Expo) that has a daily topic. There they use a daily linky so that we get the organization of a linky list, with the guarantee of landing on that day's topic post. I think the A to Z Challenge should look into that method next year as going through comments was messy. Some commenters linked directly to their post and also a link to their blog in general. Sometimes I would click the latter and then have to go looking for the post. Another goal I had for the challenge for myself was to visit 10 blogs a day. Some days I made it and some days I didn't. 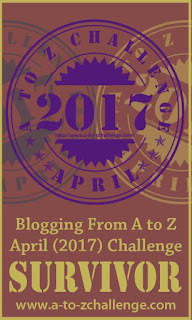 I like the Challenge because I get to visit blogs that aren't necessarily book blogs and a variety of different blogs each day. Though with going through the comments for links led me to visit a similar set of blogs daily. I'm going to continue going through the comments over the next few weeks (or more!) to try to visit more blogs that participated. I also challenged my writing team to make posts more open to conversation, encourage comments by asking questions or inviting thoughts. Most of our posts received at least a couple of comments. I think comments were down this year, even though I think I visited more blogs this year. Perhaps the best thing, for me at least, that came out of this challenge is that it got me back in the habit of scheduling posts early. Before April, and even somewhat during April, I was only getting a couple of days scheduled. Now I have about a week and a half scheduled in advance. This is giving me more writing and reading time. I think my reviews will be better. It also provides me time to visit and comment on other blogs during the week. 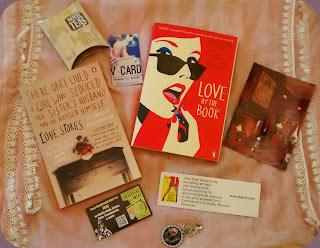 And finally, the challenge reminded me that I like to blog about other things than just book reviews. So I have scheduled a day each month that I can write on any topic having to do with books, writing, blogging, and the reading experience. Today is that day this month. I will be writing about stuff on the third Friday of every month. We all deserve a prize for finishing the A to Z Challenge. I can't afford to give one to everyone, but one person could win this month's mystery box. Here's a look at what was in the March Mystery Box. Good reflection. I would have liked to see the number of page views that you got for your top read posts. I want bloggers at least active bloggers to monitor their page views and make efforts to increase them. The viability of blogger platform depends on page view performance of blogger. Each blogger has to make efforts to make Blogger viable. Hence some understanding of page views is important. I thank you for the comment on my post.